Update: As of June 3, Google says that in response to the outcry, they plan to make a paid version of the translate API available. No details yet on what that will look like. Most disappointing to me is the way this announcement was released: buried in a blog post full of minor “Spring Cleaning” updates to a dozen other APIs. Most of the other deprecated APIs were replaced by reasonable equivalents or alternatives, and were being maintained indefinitely with limits on the rate of requests per user. None of them is being cancelled within six months, and none of them are half as widely used! I hope that this obfuscation was an unintentional oversight. There have been 170 irate replies to that post so far, almost all about the Translate API cancellation. But it has been three days already without any significant update from Feldman or any mention of the change on the Google Translate blog. Google’s response to a ZDNet inquiry was that they have no further information to provide on why they made this decision. A bunch of OLPCers and Sugar designers and enthusiasts have been talking about the need for broader discussions on sustainable education, social progress, and the value of one laptop per child in different walks of life. If these issues matter to you, please speak about them. 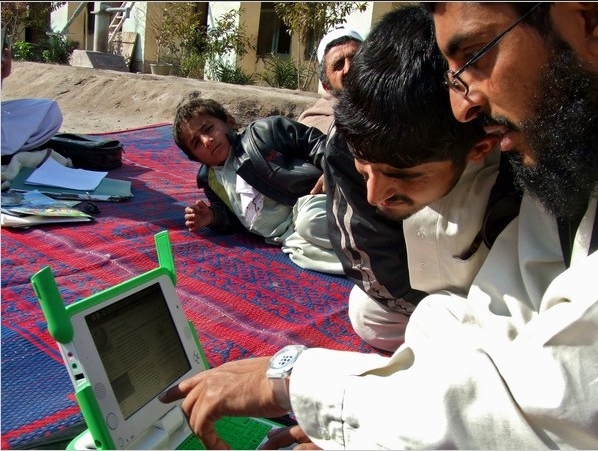 Lead discussions in your communities about the influence and meaning of [lower-case] olpc, and how it could be a useful tool for (or barrier to) the work of others, and to related organizations and projects. OLPCers want to hear more from those travelling similar roads — both literally, in bringing sustainable education and poverty alleviation to rural parts of the world, and figuratively, in bringing like-minded people together to address the major inequities of our time. What communities are you a part of where these issues matter? Is this already being discussed? If so, help inform people about what OLPC is doing in the field : things are changing rapidly these days, with 300,000 children 7-14 using their XOs to learn every week, and twice as many laptops at some stage of delivery. What will this mean to communities not yet affected? To power, agriculture, economics, local business? This is change the whole world will feel, and it should be addressed from all sides. (I already feel it in the traffic distribution to my websites, to youtube videos about the project, in the language and age distribution of applications to XO software repositories). We are tripling the installed base of Scratch. We are doubling the number of physical offline subsets of Wikipedia in English, and increasing it by a magnitude in Spanish. Please consider how this will affect your own work to improve equity and sustainable progress around the world, for better or for worse — and make your voice heard.